Ayn Rand on . . .
That’s what Rand said about Ronald Reagan at the Ford Hall Forum in 1976. Reagan supported the right to abortion when he was governor of California—and later changed his tune. But those words apply equally to the 2012 Republican presidential candidate, Mitt Romney. As governor of Massachusetts he supported the right to abortion—and later changed his tune! So we can confidently conclude Rand would have the same “That so-and-so” opinion of Mitt Romney. Rand’s opinion of Jimmy Carter applies equally, in essentials, to Barack Obama who, as president, broke every election promise he made in the 2008 campaign—with just one exception. That was “Obamacare,” which Rand would have skewered with much the same words she used to tear apart George McGovern in 1972. These are just a few examples of Rand’s many statements we can adapt to current issues when the concrete referents are sufficiently similar. From her political writings we can also derive the “5 Surprisingly Simple Rules” she applied to judge politicians. When combined with her philosophy of Objectivism, we can have a pretty good idea what she’d probably say about today’s political issues—even though she died in 1982. 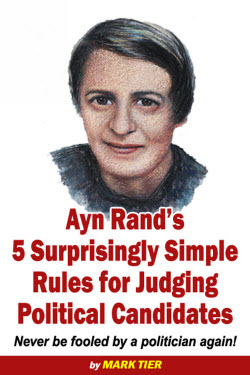 In Ayn Rand’s 5 Surprisingly Simple Rules for Judging Political Candidates we’ll apply “Rand’s Rules” to the 2012 American Presidential election as a case study. 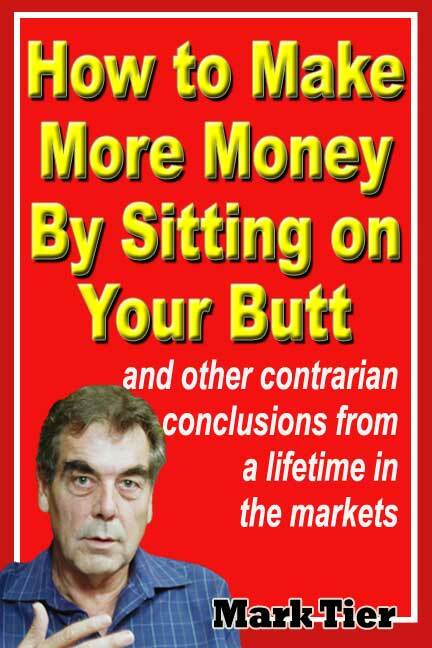 And, in conclusion, you’ll learn how to apply those very same rules to parties and politicians everywhere. So whether you agree with Ayn Rand or not (and wherever you live) you’ll never be fooled by a politician again. 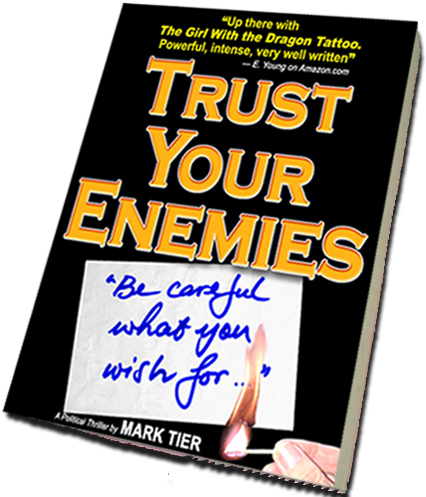 See more at marktier.com, or Amazon. Does a social system ban physical force from human relationships? "In a fully free society, taxation—or, to be exact, payment for governmental services—would be voluntary." "Laissez-faire capitalism is the only social system based on the recognition of individual rights and, therefore, the only system that bans force from social relationships. By the nature of its basic principles and interests, it is the only system fundamentally opposed to war."